I'm Unschooled. Yes, I Can Write. 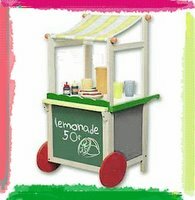 : Lemonade awards! Ages ago I was given the Lemonade award by Linda of Amy's journey - unschooling through high school. Thanks so much Linda! :-) The award is for blogs with "attitude and/or gratitude" and recipients are then asked to pass the award on to 10 other blogs. Now, this is really hard for me! I follow around 70 blogs, and I really do read most of them most of the time! I love reading about other peoples experiences, opinions, everyday happenings in their lives... But I'm going to try and narrow it down to the ones I read right away when I see that there's a new post, the ones that I frequent most often, lately... So here they are! Sheila of Always Exploring. One of my best friends-that-I-have-never-actually-"met", Sheila is a fellow "grown unschooler" who writes beautifully and with passion about such diverse subjects as music, spirituality, natural childbirth, and simply what's going on in her life. Eli of Eli Gerzon's Worldschooler Blog. 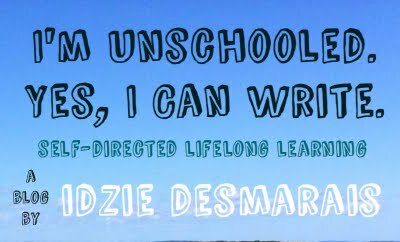 Written by a grown unschooler/worldschooler who now leads travel tours for unschoolers to various interesting places, this wonderful blog discusses unschooling, worldschooling, world travel, and similarly fascinating things. Danya of Made of Carbon. Danya finished public high school, but having learned about unschooling, decided that, for one year, she would follow that lifestyle, and see what happened! I greatly enjoy reading about her journey. Michelle of Natural Attachment. A marvelous blog by an anarchist radical unschooling mom, that talks about (and shows in lovely pictures) their day to day life, as well as discussing various aspects of radical unschooling. Stella of Not an Ordinary Teen. No matter how bad a day I've had, Stella can make me laugh! Stella is an unschooling teen who's passionate about dance, and her blog is always a joy to read. PS Pirro of Over the Wall. An unschooling green anarchist mom and author of 101 Reasons Why I'm an Unschooler, I love reading this very political, and very well written, blog. Andrea of Saying Yes 2 Boys. It's strange to say, but this blog almost makes me feel like I'm a kid again! Chronicling the adventures of a radical unschooling family with younger kids, I just love to see all of the adventures they go on, and the freedom and joy in the boys faces. James of How I Learn Stuff. Unschooling dad and author of Secrets of a Buccaneer Scholar, I love his very logical and very respectful approach to things. Anna of Adversarian. Written by an unschooling teen and dealing almost exclusively with unschooling and learning in general, this blog is quite enjoyable. Majikfaerie. It's rather strange to say, but I don't know her name! What I do know is that she's a world traveling unschooling mom, and I LOVE reading about (and seeing in photo's) the places she goes and things she does. I've only had a chance to look at a couple of these so far, but that Natural Attachment site is brilliant! I passed it on to my wife because it's totally up her alley as well, with the doula and attachment parenting stuff. WOW thanks for including me & my little-o-blog! David~ thanks for the "brilliant" comment! Thanks for including me in such excellent company. I concur w/David: that Natural Attachment site rocks. Great links thanks for posting them. OOOh, thanks for posting. Yummy reading for tonight! Thanks so much for having my blog here on the list. It always feels awesome realizing, hey, people actually read and *care* about what I write and have to say. Some of the places listed are ones I'm well familiar with, but the new ones are going straight to my bookmarks so I can check them out when I have the time. :) Yay for extending knowledge of the unschooling community! It's especially exciting to find more teens and younger people out there. The best part about unschooling is that simply because of our awareness and our lifestyle, most of us believe in the same issues - living green, striving for *true* democracy, and the like. After living so long as a 'weirdo' family it's awesome to find fellow 'weirdos'. Heck yeah! @Michele and ps pirro Your blogs are some of the first I thought of when putting together the list. I love reading both of your blogs!! @Adversarian I feel exactly the same way! I'm always thrilled to find out that people care about what I have to say! Hi Idzie I wanted to finally say thank you for including me in such cool company! I'm new to writing my blog and I admit new to reading many blogs but I'm inspired to check these other blogs out now after reading your descriptions!